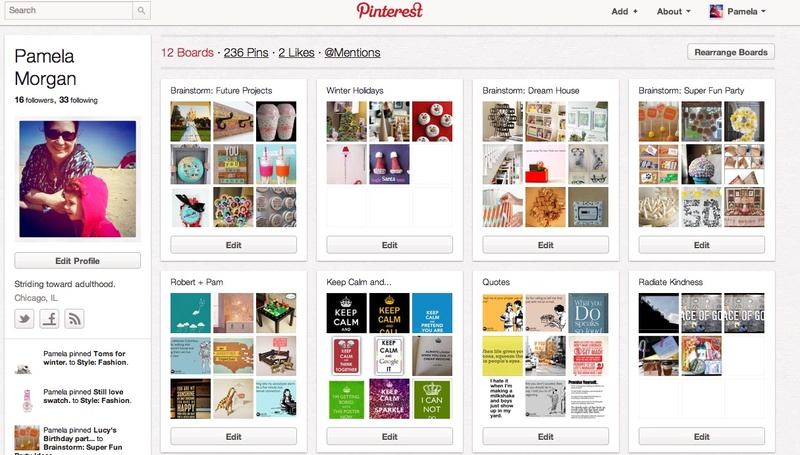 Interest in Pinterest | Yobot Inc.
Pinterest is a visual bulletin board. When I was a kid, my twin bed was placed next to my closet door. I spent my teen years cutting out images and words from magazines for inspiration and taping them to the door. Lots of ESPRIT and Duran Duran photos. I’m an 80s girl for sure. Pinterest helps me organize my internet interests in a visual format, and group images by topics. I’ll admit it, I’m addicted. Dreaming of future projects, future party themes, future crafts, future holiday decorations. But the good thing about it is that I’m no longer just dreaming, I’m also doing.